Car Accident Lawyer Akron: Do You Really Need an Accident Laywer? Do You Really Need An Accident Lawyer? Over 37,00 people die in road crashes each year. Nearly 8,000 people are killed in crashes involving drivers ages 16 to 20. Road crashes cost the U.S. more than $230.6 billion per year, or an average of $820 per person. Road crashes are the single greatest annual cause of death of healthy U.S. citizens traveling abroad. Car accidents happen every day, and bring with them many questions and uncertainties. You may wonder who is really at fault, and who will need to pay for damage, medical bills, and pain and suffering. You may start to research the laws only to find that you are more confused than you were at the start. This is where an experienced accident lawyer can step in and help. Utilizing an accident lawyer gives you professional advice and experience to deal with the repercussions of an accident. A lawyer who is experienced with car accidents knows the time limits for filing a lawsuit and can make sure you stay within the law. Statutes of limitations exist, and if you don’t file a lawsuit in a timely manner, you may lose your right to pursue your case. There can be exceptions to time frames, and an experienced lawyer will make sure that you are staying within the law and don’t miss any important deadlines. Your lawyer will also be able to file a lawsuit on your behalf, and the stress and detail of this is usually overwhelming for someone trying to recover from an accident and go on with daily life. An experienced lawyer will be able to address any defenses raised by the opposite side, and will be invaluable if your case goes to trial. Even if a lawsuit doesn’t go through, having a lawyer and the threat of legal negotiation can be crucial for your peace and security throughout a dispute. If you will be negotiating against a large insurance company, the protection and knowledge of a skilled lawyer will help you have the confidence to pursue your case. There is a good amount of preparation that goes into negotiating an insurance settlement, and an accident lawyer has done it all before. A good lawyer will obtain the right evidence, prepare settlement demand letters, and file all of the paperwork if your case goes to trial. The burden of all of this preparation can be too much, especially if you have been injured. A lawyer will also communicate with the other driver’s insurer, and can help you organize your medical bills and records, and even obtain missing records that are crucial for your case. They can work with doctors to ensure that you have the medical evidence you need, and even work with disability or worker’s compensation lien holders. A personal injury lawyer will be your advocate, and will work to get you the settlement you deserve. A skilled accident lawyer will always be better at negotiation than a layperson, and will utilize their years of experience to help you. If you are considering handling your case yourself, think about how an accident lawyer is better prepared to advocate for you, and is familiar with the workings of the legal system. If you think that your accident is just a “small case” you may be surprised when medical bills are piling up, or you are unable to work for an extended amount of time. 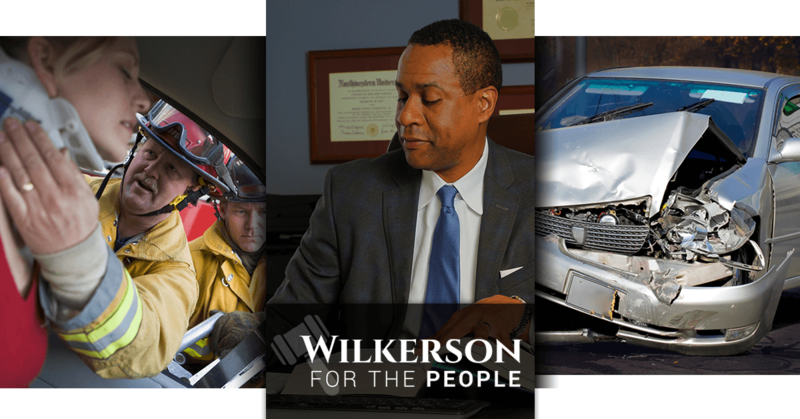 If you have been in a car accident, you need a lawyer you can trust, and if you are in the Akron area, you need to turn to Wilkerson for the People. If you have been in a car accident, contact us today!